Just finishing work on a mini e-commerce portal, and have elected to implement the Cart2 stack from Yuzool on the back end. 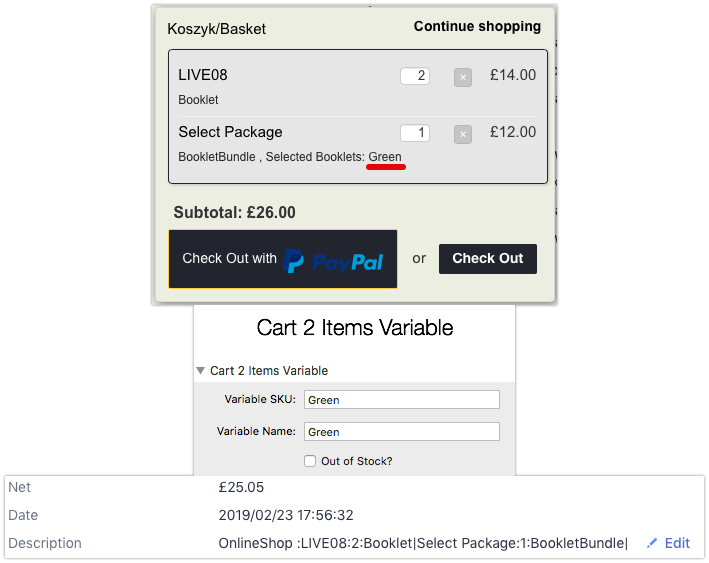 Having set up Stripe to work with Cart2, I have sadly realised that there seems to be no way to actually tell what the customer has purchased (when dealing with multiple SKUs at varied price points), as the product/order information is not communicated alongside the payment details. I have seen that this was brought up last year with fairly generic response (ie. ‘we’re looking into it’). Have there been any actual developments on this subject? As it stands, it’s hard to recommend to use Cart2 as a versatile e-commence solution. Any workarounds would be appreciated - has RapidCart Pro resolved this issues on their end? 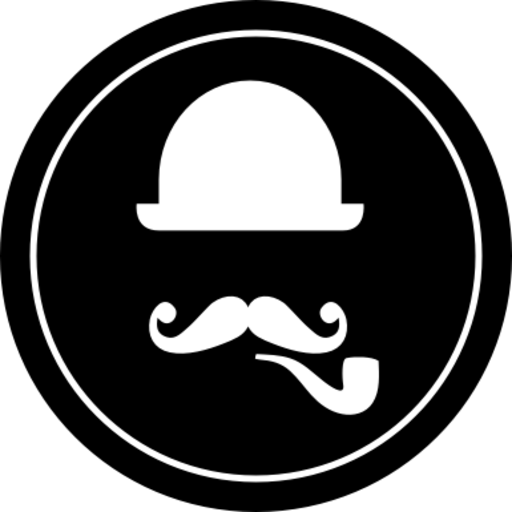 Welcome @sir.dmp - I see you are new to the Community. Welcome. Do you have a link to your site? What kind of multiple SKU / Varied price points setup do you have? As you can see from the updates thread (https://updates.yuzoolthemes.com) this is one of many Stacks always being updated so any feedback always helps to keep them on improving. Thank you for the prompt reply. Indeed, I have joined the forum and created this post as a result of being unable to find a suitable workaround online. The client website is located at: https://shop.angielskiwmiltonkeynes.com (the content has been populated in Polish & English languages). As I understand it from the brief, the aim is to make language learning booklets available for sale with minimal friction. A potential customer can buy multiple booklets, and there are several that have the same price point. I have been brainistorming potential stack-based solutions, given that Stripe seems to require an API integration for their stock/merchandise functionality. Would it be possible to add an email notification from the stack, once an order has been successful with the value of the Item Field or the SKU field (alongside the order amount)? 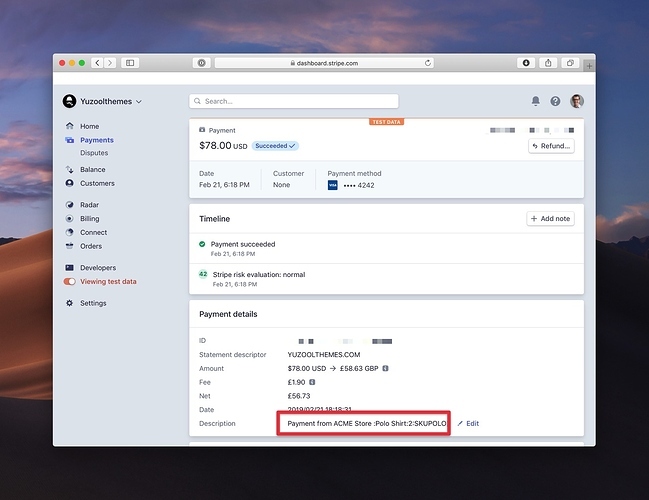 Given such a notification (similar in functionality to the native contact form found in RW), there would at least be a way to reconcile an order placed with the payment received record on the Stripe portal. If the customer name value could be passed along too, that would be beneficial too - however, it seems that it is captured by the Stripe overlay directly so perhaps the corresponding field value is not accessible. Would it be possible to add an email notification from the stack, once an order has been successful with the value of the Item Field or the SKU field (alongside the order amount)? Great idea and this is probably the best workaround under the circumstances as you say (with the Stripe stock notifications). Let me look into this and get an update out as soon as I can. Thanks for taking prompt action, Michael - the proposed implementation would resolve the issue in full. We’ll be tracking the updates page for the new stack version/revision (v2.4.0). Thank you in advance. Just noticed that the updated version (v2.4.0) of the Cart2 stack is out. Based on the changelog, it does not appear that the email notification feature has been implemented in this particular stack version. Have you got an approximate target in mind (next week, this month) for releasing said update, just so that we can manage our/client timelines. Just noticed that the updated version (v2.4.0) of the Cart2 stack is out. That said, I’ve been looking into this and there’s no easy fix at present with the current state of the Stack. So no proposed timeline at the moment. It’s a pending issue and will be added when possible. 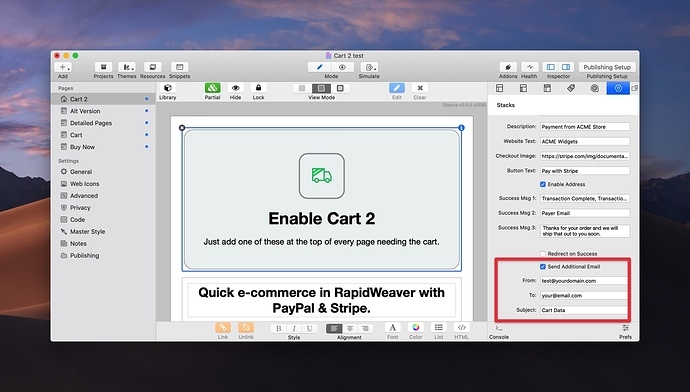 In the meantime if it’s an issue, then please use the PayPal integration only in Cart Stack at this stage. That can also take credit cards without requiring a customer to have a PayPal account. Have just sent out updates via in-app and emails. Now it’s possible to see the Item, Order and SKU inside the Stripe Description of the order. Login to the Stripe dashboard and click on an order to see this. Stripe orders now also can be optionally emailed to the Store owner via the site. Stripe (if switched on) will email a payment receipt with the necessary information included. But you can now also allow the site to send this information if selected. Just in case you can switch both on (for spam filters - one from your own domain, one from Stripe) and also be sure to reconcile the order with the payment information before sending out any items! Just as an aside, regarding future feature roadmap, do you envision enabling (shopping) customers to customise the SKU variable in the ‘Cart 2 Items Variable’ stack while on the shop website? So far, we have seen only Paysnap2 (https://www.yabdab.com/help/paysnap) offer this functionality - allowing customers to define the SKU via a freetext textbox (rather than select from a fixed set via a dropdown). EDIT: regarding the point above, we were able to implement a HTML/CSS workaround to change the input method, so please disregard if it’s too much hassle to implement. @yuzool Hi Michael, we have run a few transactions on the testnet and we can confirm that the Stripe implementation works very well in the Item stack! Would you be able to implement a fix to address this issue? Else, please point out whether we are missing a step in the workflow. Yes can add this but would encourage you not use this as the all-clear to send the order. It’s just a notification. be sure to reconcile the order with the payment information before sending out any items! This is going out today in 2.5.1! But as mentioned in 2.5.0 please consult with the Stripe Dashboard and email notification for the definitive order info and payment received before shipping items. @yuzool Hi Michael, this is just perfect! Works as stated without any further issues. Thank you very much for your responsiveness and excellent customer service Much appreciated . Best Stripe integration solution for our use case, hands down. Thank you very much and glad it is a useful Stack!